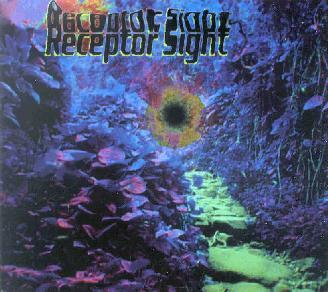 Receptor Sight is the efforts of brothers Greg and Steve Roffeld. The promo material does not list what each brother does, but my guess is that they are first and foremost studio players/mixers. Not modern digital wonderland types, but more of that old playing-with-tapes group. The liner notes say no computers or synths were used and that it was all mastered on 1/2” analog tape. That only reinforces my suspicions. This is a mish-mash of recorded improvs; snippets of music cut and pasted into four songs. That is not necessarily bad. Especially when it’s well done and Greg and Steve are pretty good at it. Besides, it all does have a nice warm analog feel to it. The music is spacey, almost ambient. There’s lots of processing and studio tricks, but the guitars, drums, and basses are still recognizable. The drums have kind of a muffled sound to them, giving them a different presence in the mix. With 4 songs running about 58 minutes, I found Undogmamind to be nice background for reading and working on the computer. It is also interesting enough to just sit and listen to it. Contact via snail mail c/o Receptor Sight; PO Box 794; Guerneville, CA 95446-0794.